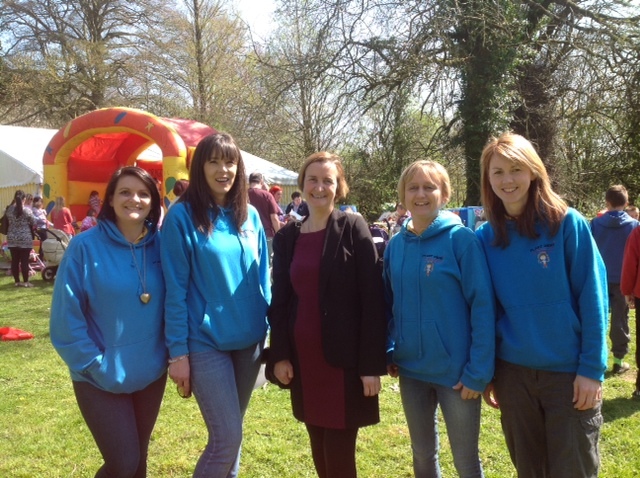 Nia Griffith MP joined Plant Dewi staff and helpers at an Easter fun day run by Plant Dewi for the families who attend their family centres across the whole of Carmarthenshire. Participants included families from the Tyisha, Morfa and Felinfoel areas of Llanelli as well as Tumble, who were brought by coach to the grounds of Carmarthen Museum in Abergwili where the children were able to participate in a whole range of activities such as music making, arts and crafts and donkey rides. The event was sponsored by a Big Lottery’s Awards for All grant, and families were encouraged to bring their own sandwiches to keep costs down.